Current account deficit stands at US$ 603.6 million which is decrease of 62 percent or US$ 1,004.3 million from the previous year. This includes (i) 113 percent decrease of international trade in goods’ deficit, thus showed surplus of US$ 86.0 million; (ii) international trade in services’ deficit decreased by 11 percent to US$ 649.8 million; (iii) deficit on income account dropped by 51 percent to US$ 143.4 million; and (iv) surplus on current transfer increased by 81 percent to US$ 103.5 million. Capital and financial accounts showed surplus of US$ 2.6 million which is decrease of 97 percent or US$ 884.9 million from 2013. This is due to 70 percent decline of foreign direct investment to Mongolia which equals to US$ 873.2 million and increase in other investment deficit by US$ 465.5 million. Such increase in other investment were caused by following factors (i) US$ 209.5 million increase of trade credit receivables, (ii) US$ 187.3 million decline on disbursement of loans. July 30 (Bloomberg) Turquoise Hill Resources Ltd. (TRQ), the Mongolian coal miner controlled by Rio Tinto Group, agreed to sell 29.95 percent of SouthGobi Resources Ltd. (SGQ) for C$25.5 million ($23.5 million). National United Resources Holdings Ltd. will pay 45.5 Canadian cents per share, a 31 percent discount to SouthGobi's last traded price in Toronto yesterday, the Hong Kong-based buyer said in a statement today. Turquoise Hill will maintain a 26 percent stake in SouthGobi after the deal. The transaction comes almost two years after Aluminum Corp. of China Ltd., China's biggest aluminum producer known as Chalco, dropped a bid to buy 60 percent of SouthGobi for C$925 million. For National United Resources, whose businesses included coking coal trading, the deal will allow it to secure supplies of the steelmaking ingredient and to continue to diversify its natural resources business. "SouthGobi will continue to focus on its business and drive to deliver upon its 2014's objectives with the usual high priority on safety," it said in a separate statement. SouthGobi's Hong Kong-traded shares fell 4.7 percent to HK$5.06 as of 2:10 p.m. local time. The stock closed at 66 cents yesterday in Toronto. National United Resources (254) gained as much as 18 percent in Hong Kong, before trading unchanged at 2:13 p.m. local time. HONG KONG, CHINA--(Marketwired - July 30, 2014) - The board of directors of SouthGobi Resources Ltd. (TSX:SGQ)(HKSE:1878) (the "Company") will meet on Monday, August 11, 2014 to consider and approve the interim financial results of the Company and its subsidiaries for the three and six months ended June 30, 2014. These financial results will be released before TSX market open. July 29 (Bloomberg) -- Mongolia's plan to solve dispute over canceled mining licenses contains contradictions with country's newly amended minerals law, Kincora Copper (TSX-V:KCC) chief executive Sam Spring said today in statement. * Plan outlined in govt Resolution No. 216, issued on July 4, doesn't differentiate between former license holders and third parties: Co.
* Resolution indicates previous license holders must pay again for costs already incurred, Spring wrote in separate e-mail sent today. July 30 (MIBG) On July 4th, the Mongolian government approved a specific resolution to settle the 106-license dispute, relating to the revocation of mineral exploration licenses in late 2013. This followed Parliamentary approval on July 1st that provided the required legislative change regarding Mongolia's mining laws to enable the resolution relating to the 106-licenses, with the later earmarked as a vital step toward restoring the confidence of foreign investors. However, the specific resolutions related to the licenses that have been revoked are a far cry from what the previous license holders and the market was expecting. In many ways this conflicts with, and undermines, the positive amendments to the Minerals Law (refer to our detailed Mineral Law Review published July 29th). Under the approved Resolution #216, previously revoked licenses will be issued through a competitive tender process, noting not one exploration license was ever issued via a competitive tender process under the 2006 Minerals Law. This will require previous-license holders to bid against other interested third parties. At the outset of bidding, the initial re-tendering price will be determined by costs incurred by the former license holder. Issues presented with the amended resolution lie within its lack of differentiation between former license holders and third parties. In effect, former license holders will have to bid again for costs that they have already incurred - despite these licenses previously being in good standing. Amendments previously affirmed by senior Government officials do not confirm this newly proposed resolution or the implementation process. "The proposed competitive tender process contradicts the positive move toward a direct application, "first come, first served", approach adopted under the amended Minerals Law and is at odds with recent proposed reform aimed at encouraging private sector activities, reviving the minerals sector and Mongolian economy." The implementation procedures of the mineral-law amendments or Resolution #216 have not yet been confirmed. Therefore, Kincora Copper and other active former license holders will continue to press the Government officials involved to resolve the inconsistency with an outcome beneficial to all stakeholders. In its September 2013 quarterly accounts, Kincora wrote off C$6,952,000 relating to the 15075X (Tourmaline Hills) and 15076X (North Fox) licenses, which were revoked as part of the 106-mining revocations. Kincora's two licenses were lower priority exploration tenements adjacent to their flagship Bronze Fox project. Bronze Fox remains unencumbered and Kincora is actively undertaking field season activities including drilling their large scale copper porphyry targets that are situated towards the center of the existing license. "investors have had their economic rights expropriated by judiciary acting outside its jurisdiction without any opportunity to appeal these losses to a proper authority (under the 106-licnese dispute)." In our view, the current resolution offered by the Government doesn't provide adequate measures to address this. Stability is a virtue sought after by investors to alleviate their risk, however, inconsistencies have discouraged foreign parties from injecting capital into the market. To calm investors, the government of Mongolia and the association of active former license holders must resolve the dispute in accordance with the predilections of all stakeholders. 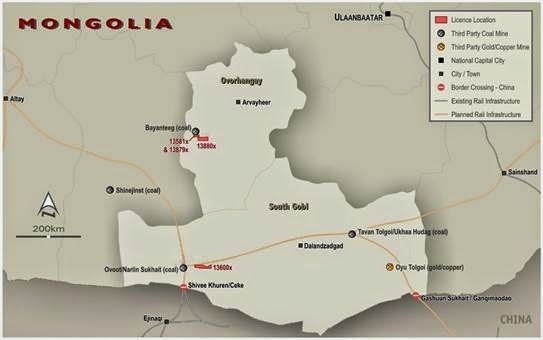 July 31 (Proactive Investors) Aspire Mining (ASX:AKM) and Noble Group are starting an initial 20 hole drilling program at the Nuurstei Coal Project in northern Mongolia that will provide near term price catalysts. Results will be used to prepare a Pre-Feasibility Study for a small scale operation given its near-surface coking coal and proximity to road infrastructure. This will in turn allow for the grant of a mining licence and completion of a general environmental impact assessment. Offtake agreements and mining could potentially follow. Drilling will begin in August and is expected to be completed by the end of September, with laboratory analysis expected to be received in the December quarter. Aspire had in June acquired a 50% interest in the Ekhgoviin Chuluu Joint Venture from Xanadu Mines (ASX:XAM). ECJV is an equal joint venture with Noble and currently holds a 60% interest in the Nuurstei Project, which could be increased to 90% upon achievement of certain development milestones. The 20 hole drilling program with a budget of US$500,000 will target the northern part of the Nuurstei tenement area and will consist initially of 20 holes at an average 100 metre depth. This program is designed to confirm resource continuity to enable preliminary economic assessment, as well as provide samples for testwork. Nuurstei is located about 10 kilometres to the southwest of Moron, the capital of the Khuvsgul province in northern Mongolia. A paved road is currently being constructed between Moron and the town of Erdenet, where existing rail infrastructure terminates. Sealing of this road commenced in 2012 and is due to be completed at the end of 2015. Coal produced at the Nuurstei Project could be transported along this road to Erdenet where product could then be loaded onto trains and delivered to customers. Land purchased at Erdenet by Aspire in 2012 could be used as a coal stockpile and train load-out area. It was acquired by the ECJV in mid-2011 and immediately had drilling success from an initial 11 hole program. Subsequent test work has shown that the Nuurstei Project contains a low volatile bitumous coal with moderate to high ash levels and low sulphur. Washed coal has high indicative coking properties though further testwork is required. Nuurstei is also located within a relatively short trucking distance to the proposed Northern Rail Line being developed by Aspire's subsidiary, Northern Railways LLC. Preliminary indications are that coal from Nuurstei could be a useful blending partner for Aspire's wholly owned Ovoot Project coking coal, and there would be a number of other operational and marketing synergies between the two operations. There are near term price catalysts ahead for Aspire Mining with the initial 20 hole drilling program at the Nuurstei Coal Project and then results. This could lead to a Pre-Feasibility Study and has the potential to become a small scale near-term coal producer for the company. 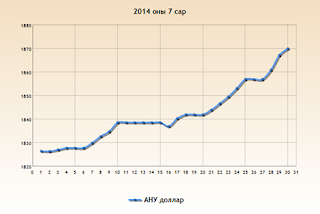 Achieving this will be a game changer for Aspire while it continues to progress its Ovoot Coking Coal Project. 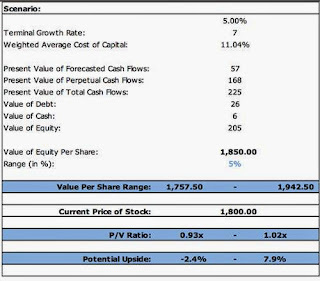 Proactive Investors continues to maintain a price target of $0.125 within 6-9 months for Aspire. 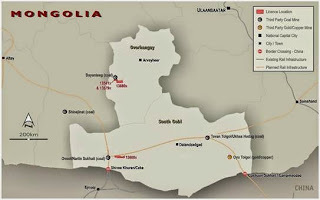 July 30 -- Guildford Coal Limited (the "Company") (ASX:GUF) is pleased to announce that trucking of trial batches of coal from the Baruun Noyon Uul (BNU) mine, South Gobi will commence in mid‐August to the Shivee Khuren/Ceke border for planned washing and testing of logistics. This activity is conducted in preparation for securing first coal sales that are currently under negotiation. The Company is negotiating with a number of customers in China to take delivery of initial parcels and bulk samples as part of its strategy to establish and position the BNU coking coal brand in the Chinese market. This is a significant milestone for the future development of the BNU mine and the Company's other mining licenses in the region. July 31 -- During the three months to 30 June, 2014, Perth-based Viking Mines Ltd (Viking or the Company) progressed with its off market takeover of unlisted Sydney based emerging coal producer, Auminco Mines Limited (Auminco). As at the date of this report, Viking had received over 97% acceptances from Auminco shareholders. Three Memoranda of Understandings (MOU's) have now been signed by Auminco with Mongolian government entities for potential coal supply from the Berkh Uul project. A three month Exclusivity Agreement was signed with Akroma Gold Co Ltd for them to evaluate the Akoase gold project in Ghana. No field activity was undertaken during the period on Viking Ashanti's Ghanaian gold projects. On 21 March, 2014, Viking announced that it would proceed with an off market takeover offer for all of the issued share capital of Auminco. In the absence of a superior offer, the Offer was recommended unanimously by the Board of Auminco and each Board member of Auminco has accepted the Offer in respect of their own shareholding. On 8 April 2014, Viking completed the despatch of the Bidder's Statement dated 2 April 2014 in respect of an off-market takeover bid for all of the fully paid ordinary shares in Auminco. As at the date of this report, Viking had received acceptances from Auminco shareholders totalling 97.44% of Auminco. A capital raising is planned by the Company in the September quarter to fund operations, with the minimum expected to complete internal Mongolian coal-focussed production feasibility studies and to enable development decisions. A Viking capital raise is the only unfulfilled takeover condition. 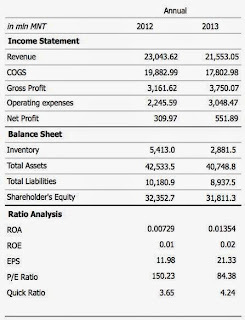 · Cash balance of $2.3 million at the end of the quarter. The Board and the Joint Venture Management Committee decided to relinquish exploration licence 13880X due to the assessed low probability of the presence of coal deposits which could be extracted on a commercial basis. As previously reported, 13600X was relinquished in April 2014. Exploration licenses 13581X and 13879X continued to be maintained throughout the reporting period. During the reporting period the office in Ulaanbaatar was closed and the local administration work was outsourced to a third party. Administration expenditure for the quarter was $0.229 million. A number of annual compliance costs were incurred during the reporting period. The cash balance as of 30 June 2014 was $2.3 million and there was no debt. As previously reported the company completed phase 1 exploration on its Darvii Naruu project in Govi Altai province, western Mongolia. The scout drilling programme at Darvii Naruu commenced in October 2013 with 2,020 metres of reverse circulation drilling being completed in 18 holes at six different prospects. Results from Mushroom Reef and Anomaly 13 are considered to be extremely encouraging; encountering significant mineralisation and highly prospective geology at both prospects. To aid in the further interpretation of the phase 1 scout drilling program, Parmelia commissioned a preliminary petrography study which supports Parmelia's concept that the geology at Darvii Naruu has potential for the presence of a porphyry hosted mineral system. • Completed 2020m of phase 1 scout drilling at the Darvii Naruu project in Govi Altai province western Mongolia. • Analyses of drill and surface samples returned mineralised intersections from Mushroom Reef prospect of 16 m @ 1.01 g/t Au, including 8 metres at 1.87 g/t Au and 1.7% Zn. In addition further high grade Cu mineralisation identified at surface from Anomaly 13, with 19.5% Cu and 9.4% Cu identified in outcrop. • Completed Petrological study of the drill chips which suggests the pyritic altered zones intersected at Mushroom Reef possibly represent a peripheral alteration zone of a Cu-Au porphyry system. • Hole DNRC 016 intersected 16 m @ 1.01 g/t Au, including 8 metres at 1.87 g/t Au and 1.7% Zn, in a highly altered silica-pyrite rich felsic volcanic at the Mushroom Reef prospect. • Petrological study of the drill chips suggests the pyritic altered zones intersected at Mushroom Reef possibly represent a peripheral alteration zone of a Cu-Au porphyry system. • Further high grade Cu mineralisation identified at surface from Anomaly 13, with 19.5% Cu and 9.4% Cu identified in outcrop. • Granodiorite hosted Au–Ag–Cu–As–Zn-Pb mineralisation intersected in drilling at Anomaly 13 suggests hydrothermal genesis and potential exists for a remobilised sulphide system. 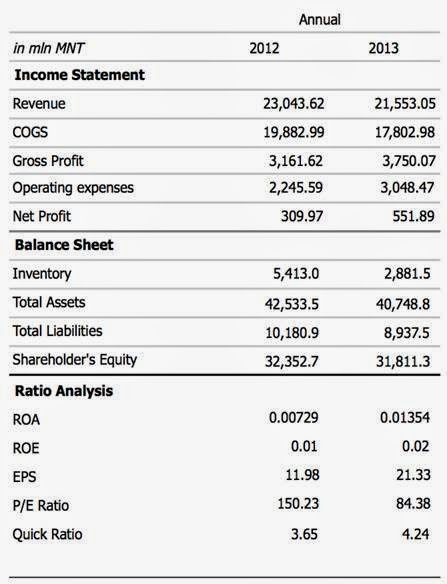 To view Management's Discussion and Analysis and the Financial Statements and Notes for the three and six months ended June 30, 2014, please visit the following link: http://media3.marketwire.com/docs/cg0729fsmda.pdf. Centerra Gold Inc. today reported a net loss for the second quarter of 2014 of $31.7 million, or $0.13 per share (basic and diluted) which reflects the lower average realized gold price(1), higher share-based compensation, and increased depreciation, depletion and amortization (DD&A) and an inventory charge at Kumtor. For the same period in 2013, the Company recorded net earnings of $1.6 million or $0.01 per common share. 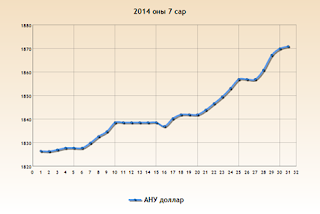 · Kumtor obtained approvals for its 2014 annual mine plan from the relevant Kyrgyz agencies. · Boroo mill repairs were completed and the mill returned to full milling capacity. 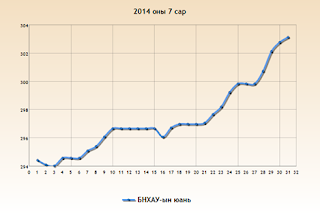 · Company on track to meet 2014 production and cost guidance. · Produced 92,124 ounces of gold in the quarter, including 77,860 ounces at Kumtor and 14,265 ounces at Boroo, compared to 99,426 ounces in the same period in 2013. · Cash provided by operations increased to $71.7 million compared to $40.8 million in the second quarter of 2013. · All-in sustaining costs per ounce sold(1) of $1,540, which excludes revenue-based tax in the Kyrgyz Republic, compared to $1,537 in the same period in 2013. · All-in costs per ounce sold(1), which excludes revenue-based tax in the Kyrgyz Republic and income taxes was $1,722 for the quarter compared to $1,708 for the second quarter of 2013. The Gatsuurt project remained under care and maintenance in the first quarter of 2014 due to continued delays in permitting resulting from the Water and Forest Law which prohibits mining and exploration activities in water basin and forested areas. The Company continued discussions with the Mongolian Government regarding the Gatsuurt project during the second quarter and expects that the Mongolian Parliament will consider the designation of Gatsuurt as a strategic deposit by the end of 2014. If Parliament ultimately approves this designation, it would have the effect of excluding Gatsuurt from the application of the Mongolian Water and Forest Law and would allow Mongolia to acquire up to a 34% interest in Gatsuurt. The terms of such participation would be subject to further negotiations with the Government. See "Other Corporate Developments - Mongolia". • Entered into a binding memorandum of understanding (the "MOU") concerning the purchase of a company involving in oil & gas projects in Kyrgyzstan subject to relevant approvals including regulatory approval and shareholders' approval. Ulaanbaatar, July 29 (MONTSAME) At the Stock Exchange trades held Tuesday, a total of 4,131 shares of 11 JSCs were traded costing MNT 14 million 035 thousand and 695.00. "APU" /2,105 units/, "Baganuur" /729 units/, "Genco tour bureau" /570 units/, "Tavantolgoi" /380 units/ and "Kherlen khivs" /200 units/ were the most actively traded in terms of trading volume, in terms of trading value--"APU" (MNT eight million 210 thousand and 011), "Baganuur" (MNT two million 770 thousand and 200), "Tavantolgoi" (MNT one million 864 thousand and 214), "Material impex" (MNT 512 thousand) and "Mogoin gol" (MNT 432 thousand and 010). The total market capitalization was set at MNT one trillion 594 billion 411 million 646 thousand and 212. The Index of Top-20 JSCs was 15,860.74, decreasing by MNT 83.65 or 0.52% against the previous day. Ulaanbaatar, July 30 (MONTSAME) At the Stock Exchange trades held Wednesday, a total of 2,883 shares of 14 JSCs were traded costing MNT three million 896 thousand and 970.00. "Kherlen khivs" /1,500 units/, "Khokh gan" /486 units/, "Baganuur" /336 units/, "Genco tour bureau" /300 units/ and "E-trans logistics" /105 units/ were the most actively traded in terms of trading volume, in terms of trading value--"Baganuur" (MNT one million 276 thousand and 800), "UB-BUK" (MNT one million and 200 thousand), "Talkh chikher" (MNT 752 thousand and 900), "Kherlen khivs" (MNT 255 thousand and 900) and "Tavantolgoi" (MNT 142 thousand and 800). The total market capitalization was set at MNT one trillion 612 billion 897 million 952 thousand and 461. The Index of Top-20 JSCs was 15,972.61, increasing by MNT 111.87 or 0.71% against the previous day. 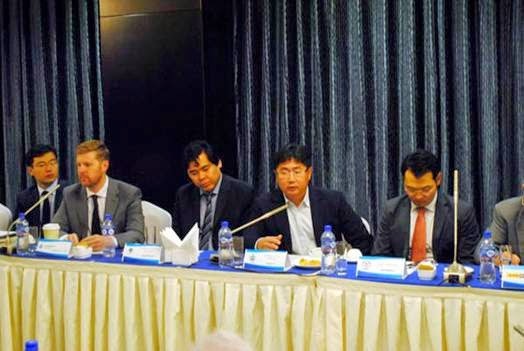 July 29 (MSE) Angar.D, acting CEO of MSE, participated at AmCham Mongolia's monthly meeting which held on 29 July 2014 at Best Western Premier Tuushin Hotel. During the meeting,Angar.D was one of the panel guest speakers and provided information about recent development of Mongolian capital market. · Despite current negative investor sentiment around Mongolia, decelerating economic growth and poor government policy towards investment, privately controlled MSE listed stocks are at or near all-time highs. · An index of the MSE's 20 largest privately controlled companies returned nearly 800% since January 2010, vs. 230% for the MSE Top 20. · Government controlled companies represent 18% of the MSE Top 20 market cap, which typically lose money and are poorly managed, hence the index's underperformance. · While the stock prices of many privately controlled companies have increased several times, most are experiencing rapid growth, with large undervalued asset bases underpinning their valuation. July 30 (BDSec) To say investors currently have a bearish outlook on Mongolia's economic prospects and asset prices, would be a vast understatement. The country remains in a protracted and damaging battle with its largest investor Rio Tinto, Foreign Direct Investment (FDI) continues to plunge, along with the value of the Mongolian Tugrik. The origin of these problems can be traced to a disastrous decision by policy makers to pass an anti-foreign investment law known as the Strategic Entities Foreign Investment Law (SEFIL) in May 2012. The passage of SEFIL happened to also coincide with a severe global bear market in mining, the effects of which are still felt to this day. Despite passing new Investment and Mining legislation, FDI has shown no signs of recovery as investors watch how and when the country will resolve its dispute with RIO over Phase 2 at OT and allegations by the GOM over unpaid taxes. 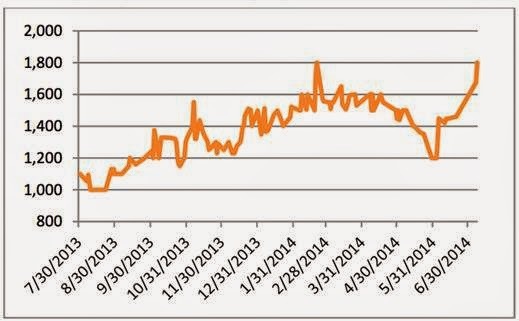 We think it's fair to say that bearish sentiment towards Mongolia is at its highest level in the last 5 years. All that said, it will probably come as a big surprise to investors that a great many MSE listed stocks are trading at or near new all-time highs. The casual observer would conclude that local stocks reflect this bearish sentiment, with the MSE Top 20 declining by 60% from its peak of 32,955 in February 2011 to a low of 13,364 in January 2013. The MSE Top 20 entered a bear market in March 2011, shortly after its February peak and it remains in a technical bear to this day, trading around 16,500. 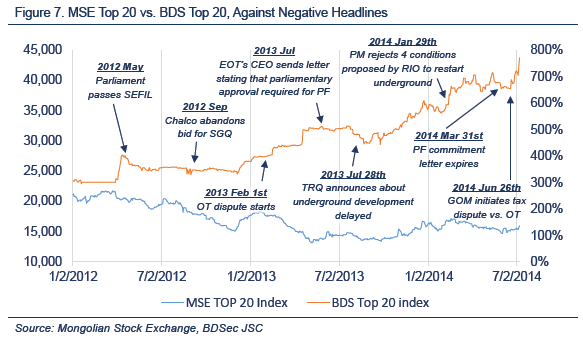 However, we've made the case repeatedly that the MSE Top 20 is not representative of the perfor­mance of the broader market. Some of the largest companies in the index are State Owned/Controlled Entities (SOEs) and in many cases, poorly managed and unprofitable. The MSE Top 20 is a market cap weighted index, with State controlled companies comprising 18.2% of the total market cap. In an effort to give investors a better sense of how well privately controlled local shares have performed, we aggregated a list of the MSE's 20 largest companies excluding SOE's. 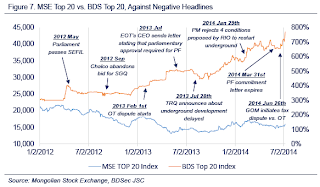 For the purposes of this note, we will refer to the MSE's 20 largest privately controlled companies as the BDS Top 20. 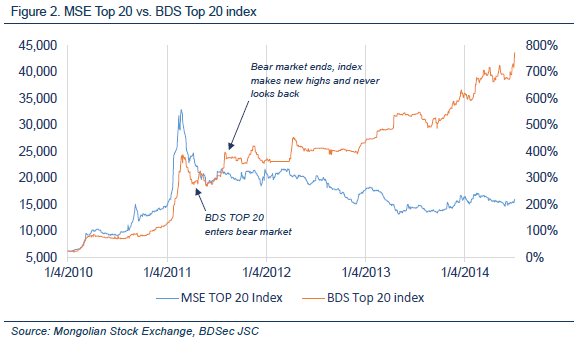 The constituents of the BDS Top 20 have collectively increased in value nearly 800% since 2010 and outperformed the MSE Top 20 to a massive extent. As can be seen in the chart below, the 20 largest private companies experienced their own bear mar­ket in March 2011, declining ~22%, but went on to register new highs only 6 months hence and have since gone on to appreciate ~260%. 1-3 year and YTD returns for these 20 stocks reflect steady and deliberate outperformance, both on a relative and absolute basis, vs. the MSE Top 20 and all comparable Mongolian asset prices. In summary, we think it makes sense for investors to begin to consider what can go right for Mongolia in the coming years, as that which can go wrong is now laid bare for all to see. And while local stocks would no doubt benefit from resolution at OT and more investor friendly government policy, there are a great many MSE specific catalysts on the horizon. We think it's likely Mongolia will be added to either the MSCI or FTSE Frontier indices (or both) in the near or medium term, which would generate considerable inflows from mutual funds. The framework for Mongolian pension funds, local investment funds and insurance companies to invest on the MSE is now in place. The ownership of the MSE has recently been transferred from the State Property Commission to the Ministry of Finance, which has indicated it will undertake initia­tives to improve operations and policies, to attract more participants. With a market cap of only ~$900M USD, the liquidity on the MSE is both a liability and a virtue, with insiders owning approximately 60% of the float. The biggest fear in investing on the MSE for some, because of liquidity, may soon go from "How do I get out?" to "How do I get in?" Given the time it takes to build positions in these companies, we would advocate owning a large basket of fundamentally sound companies for the long term. When it comes to transacting on the MSE, one has to buy when one can, not when one chooses to, which makes waiting for "the all clear" a precarious proposition at best. Mongolia Telecom Company ("MSE: MCH") has been established in 1921 and is one of the oldest organisations in Mongolia. During that time they have provided postage and telegram services throughout to the country. They've also brought information communication technologies (ICT) to Mongolia, and all those service where provided until 1996 when the mobile phone service providers started to operate in Mongolia. By the State Privatisation Commission's resolution 28 of 1995, Mongolia Telecom Company has been privatised and majority of the shares has been kept with State Property Committee of Mongolia. Company operates with 1,160 employees' and provides ICT services to 21 aimag provinces and 159 sums, which is nearly all over the country. MCH's headquarter is located at the heart of the capital city of "Ulaanbaatar". They provide 5 main products and services to the customers. After the privatisation, the charter of the firm stated that 54.67% ownership of the company kept with a state, and remaining 45.33% has started to trade on Mongolian Stock Exchange in 1995. Today, there are 2 large-block shareholders as both hold 94.67% of the company and 5.33% belongs to 4002 individual shareholders. Korea Telecom Corporation (KT) has stepped in the privatisation and received 40% of the MHC. KT has the largest portion of South Korean landline and high-speed internet market. At the end of 2013, "MHC"'s revenue reached MNT 21.55 billion, which was a 6.47% decrease from the previous year. However, net profit has increased by 56.16% to reach MNT 551.89 million. During this period they have fought with COGS and successfully reduced the COGS to Revenue ratio by 3.68%. In 2013, company has made many developments on the quality side of the services, and worked to reduce the COGS and we believe it has helped the company efficiently achieved their target to reduce unnecessary costs. This year, they are working to install 4g LTE technology and upgrade their whole operation. Korea Telecom expressed their interest on this project and willing to become a partner as they are second major shareholder of the company. However, the State Property Committee postponed this project and the investment has stagnated. The historical minimum price of the stock was MNT 943.00 and the maximum was MNT 4501.00, which was recorded on January 28, 2011. 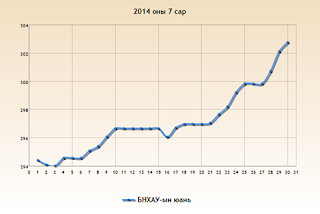 The 52 week range standard deviation of the stock is 172.58. 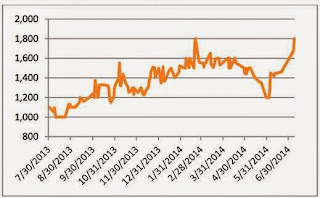 Asia Pacific Securities currently rates "MCH" as "HOLD". Even though the company has reduced their COGS and increased its productivity last year, their future is in questionable situation. They don't have much business development projects planned, and more importantly they don't hold many ownerships to their properties and we believe its riskier and more volatile to rent. Furthermore, the company's Altman's Z-score bankruptcy calculation shows that their risk of bankruptcy is increasing year by year and hit 2.10 in 2012. High risk is considered at 1.79, and low is at 2.99. APS thinks that the main survival option for MCH is to reduce the government's ownership and allow the company to operate independently. In the other side KT wants to increase their ownership and overtake the management to improve the company. Thus, the State Great Khural (the government) is announced that its going to reduce the state ownership to 34.00% which will happen from 2014 to 2016. We value "MCH"'s per share at MNT 1850.00, nearly same as the current price, and the valuation is based on WACC of 11.04%, 7.1% of terminal growth rate, and regression analysis correlation of 0.677. 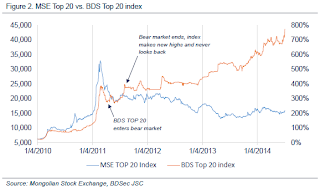 The stock beta is 1.32, which is strongly correlated with the MSE Top 20 index. 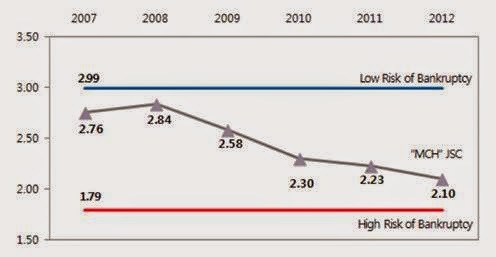 July 30 (infomongolia.com) According to the resolution of the Board of Director's meeting on July 30th, the Central Bank of Mongolia has announced to raise its policy interest rate by 1.5 percentage point up to 12 percent. The Bank of Mongolia focuses to stabilize the sharp increase on currency and inflation rates in order to stabilize the current economic downturn by strengthening its policy rate. During the press conference, the Governor of Central Bank N.Zoljargal explained that the Bank of Mongolia strengthens its policy rate to take corrective measures on the decreasing volume of exchange reserves and foreign direct investment inflow in terms of ensuring medium and long term economic stability, reducing the counterbalance losses, mitigating the economic pressure due to the inflation rate by preventing from further possible risks on Mongolian macro economy. July 29 (Bank of Mongolia) On the Foreign Exchange Auction held on July 29th, 2014 the BOM has received bid offer of USD and CNY from local commercial banks. The BOM has sold 28.0 million USD as closing rate of MNT 1869.00 and 78.33 million CNY as closing rate of MNT 302.15. On July 29th, 2014, The BOM has received MNT Swap agreement bid offer in equivalent to 6.0 million USD and USD Swap agreement ask offer of 2.0 million USD from local commercial banks and accepted the MNT Swap agreement offer. July 29 (Mongolian Economy) According to the Mongolian Bankers Association, total savings of Mongolia decreased by 0.8% in June compared to the previous month, however, it increased by 38.9% compared to the previous year. This amounts to MNT 7137.8 billion. Citizens' savings also saw increases from last year's numbers. The total equated to MNT 261.8 billion, or an 11% increase. These savings went down 0.5% compared to May. Company savings shows a different trend. Compared to May's statistics, savings increased by 0.6%. In comparison to last year, the number increased by 3.2 times, or MNT 2079.4 billion. In terms of money supply, saving organizations contributed to 5.8% of the total. 56% came from MNT savings, 13.7% came from foreign currency savings, 12% came from MNT drawing accounts and 12.5% came from foreign currency accounts. 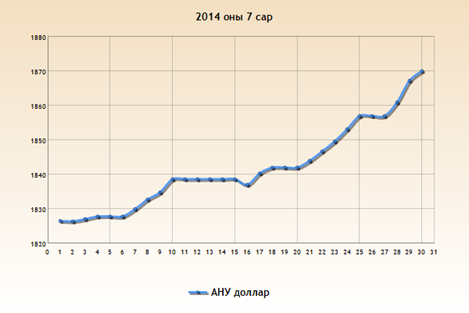 For the first six months of 2014, money supply increased by 8.3%. On a year-by-year basis, it increased by 25.9% or MNT 10240.5 billion. July 30 (Mongolian Economy) As of June this year, 1858 citizens received MNT 98.4 billion of mortgage loans. Including this figure, the total of all mortgage loans belonging to banks equal MNT 2440 billion. The total number of all mortgagers equal 58793. The annual speed of the mortgage loan speed rate decreased by 3.5 percent compared to the previous month, but still represents a 7 percent increase compared to the beginning of this year. Out of all mortgage loans, 69 percent went to house payments. In terms of mortgage loans held by banks, 97.6 percent came from MNT loans and the rest came from foreign currency loans. The average mortgage loan per person amounted to MNT 53 million. Compared to the previous month, the mortgage loans decreased by 12.4 percent, however it increased by 45.7 percent on a year-on-year basis. Mortgage loans already issued from housing programs contributed to 68.6 percent of the total, while the rest came from bank reserves. By the end of June, MNT 23.8 billion was paid off showing a decrease of 15.7 percent compared to the previous month. By examining year conditions, 38.8 percent of mortgagers took out loans to be paid off between 16 and 20 years. Another 38.5 percent took out loans for a period of 11 and 15 years, 18.8 percent took out loans lasting between 6 and 10 years and 3.9 percent will pay back loans within a timeframe of 1 to 5 years. In brief: The Mongolian Parliament has passed amendments to the country's Minerals Law which should be of interest to foreign investors and mining companies. Partners Igor Bogdanich (view CV) and Kate Axup (view CV), and Senior Associate Steven Local, look at what certain of the amendments may mean for Mongolia's mining sector. July 29 (Allens) On 1 July, 2014 the Mongolian Parliament passed amendments to the Minerals Law of Mongolia (the Amendments). At the same time, the Mongolian Parliament also passed several new laws relating to the mining sector (the New Laws), including a law which lifts the ban on the issue of new exploration licences. · strengthen the competitiveness of the Mongolian mining sector in the international market. These objectives provide a useful framework in which to review the Amendments and the New Laws. The Amendments and the New Laws include certain measures to establish a stable investment environment for Mongolia's mining sector. The most significant measure is contained in a New Law which lifts the ban on the issue of exploration licences, with effect from 1 July 2014. The ban had been in place since 2010. This change is expected to have a positive impact on Mongolia's mining sector in the short term by encouraging investment and exploration activity. · determining areas that can be granted under exploration licences. · requiring a licence holder to include in its mining feasibility study details of transportation of minerals, infrastructure and the financing required for closure of the mine (new paragraph 27.1.12). The Amendments promote environmentally friendly and modern technology to some extent. For example, the Amendments provide for the creation of a Policy Council to make recommendations and provide support for implementation of the Government's mineral resources policy. The Policy Council would be an appropriate body to consider measures to promote environmentally friendly and modern technology in Mongolia's mining sector. Under the Amendments, a licence holder must now procure one of its employees to regularly update the state administrative body in charge of geological and mining matters on environmental, rehabilitation and mine closure matters (see Article 27). This requirement may help to facilitate more transparency on environmental matters and encourage an orderly process for mine closure. Similarly, Article 10 of the Minerals Law has been amended to require cooperation between the National Geology Office and the relevant agency in charge of the environment to develop regulations for reclamation and closure of mines and processing plants. · mined/processed minerals to be sold on a priority basis to processing plants in Mongolia at market prices. The Amendments do not specify whether the term 'market prices' refers to international market prices or domestic market prices. We expect that most foreign investors in Mongolia would seek assurance that they could sell at international market prices to ensure that they will not be disadvantaged by this provision. It is not clear whether foreign or local investors will view the above measures favourably given that they may wish to be free to contract and market on the best international terms. The Amendments and the New Laws do not introduce radical changes to the regulation of Mongolia's mining sector, with most of the provisions of the Minerals Law surviving intact. However, there are some important changes which will be of interest to foreign investors and mining companies in Mongolia. In the short term, the lifting of the ban on the issue of new exploration licences is a key development which should encourage growth in exploration activity. Mining services companies established in Mongolia are likely to directly benefit from this change. Over the medium to long term, the establishment of the National Geology Office and the Policy Council should help to contribute to the orderly development of Mongolia's mining sector to meet the objectives set out in the State Minerals Policy. Allens is an international law firm which practices throughout the Asia Pacific region. It advises on international legal issues in Mongolia but does not provide Mongolian legal advice. Allens regularly works with Mongolian counsel where Mongolian legal advice is required. July 29 (UB Post) More than 20 issues, including road projects across the country, air pollution measures, import regulation, and preparations for winter, were discussed during last week's cabinet meeting. During the meeting, Foreign Minister L.Bold approved the selection of a new Permanent Representative to the U.N. in association with Mongolia's term heading the U.N. Environment Assembly from 2014 to 2016. Mongolia was elected to head the U.N. Environment Assembly in June. The head of the assembly will be in charge of the implementation of the assembly's 2014 to 2016 project plans, its finances, monitoring the budget, chairing meetings, and managing and organizing meetings with local governing bodies with secretarial support. The interchange for the Selbe Highway, part of Ulaanbaatar's general development plan through 2020 and the Street Project, was approved during the weekly cabinet meeting. Ulaanbaatar Mayor E.Bat-Uul was made responsible for, "the clearance, approval and ownership of land for the road and interchange." Head of the Street Project B.Batbold was made responsible for, "financial compensation issuance for land clearance." The street and highway projects are focused on reducing traffic congestion by building a highway on the vertical axis of the city. The Selbe Highway project is expected to link the horizontal highway across Ulaanbaatar from Bayanzurkh Checkpoint to 22nd Checkpoint, being built through the Street Project, to the center of the city. The Selbe Highway will link Altanbulag to Zamyn-Uud Highway and the ANZ road, in the south of Ulaanbaatar. On May 15, 2014, efforts to combat air pollution and a resolution on the issue were added to the Law on Government. The amendment obliged ministers to, "actively work against air pollution, and a centralized policy for combating air pollution has been formed." At the weekly cabinet meeting, ministers responsible for fighting air pollution were instructed to work with related organizations to determine the workforce required for carrying out projects and to oversee their implementation. Officials in the sector were given the task of evaluating coal usage, and to conduct studies on heating stoves to provide information about the size of the areas they heat, the cost of maintenance, and heating efficiency. Deputy Minister D.Terbishdagva was instructed to create a list of risky import products based on the approved criteria for imported products to undergo inspection by the State Specialized Inspection Agency. By forming a list, the cabinet believes that the products subject to regular inspection will become clear, and monitoring the safety of imported products will become easier. The list is also expected to simplify human resource challenges facing inspectors and make it easier for importers of risky products to conduct business within regulations. The government issued a decree on winter preparations and supply in the agricultural sector for 2014-2015. At the cabinet meeting, Minister of Agriculture and Industry Sh.Tuvdendorj and provincial governors were instructed to oversee preventative measures for seasonal hardships and natural disasters in winter and spring, and to form plans to minimize damage and monitor winter preparation progress. July 29 (infomongolia.com) The Cabinet meeting of the Government of Mongolia was previously announced to be held in Khuvsgul aimag but not taking place in there due to the current load of the Government and it was regularly held in Ulaanbaatar city on July 28th, 2014. - The Deputy Prime Minister of Mongolia D.Terbishdagva made a report to the Parliament members regarding the recent National Naadam Festival 2014 which dedicated to the 2,223rd Anniversary of the Mongolia's First Statehood, the 808th Anniversary of the Great Mongol Empire and the 93rd Anniversary of the People's Revolution. - The related issues were held forth regarding the official visit of the Chairman of the Grand National Assembly of Turkey Jemil Chichek which was taken place between June 23 and June 26, 2014 in Mongolia and the Minister of Foreign Affairs of Mongolia L.Bold has obliged to take this issue into consideration through the upcoming regular meeting of the National Security Council of Mongolia. - The resultative conclusion were issued regarding the official visit of the President of the Republic of Latvia Andris Berzins which was held between June 11 and June 13, 2014 in Mongolia and the Minister of Foreign Affairs L.Bold has also obliged to take this issue into account through the upcoming regular meeting of the National Security Council of Mongolia. - During the Cabinet meeting, the MP's also considered that the first session of the Mongolia-Poland Intergovernmental Committee meeting has resulted with positive influences which was held on June 24, 2014 in Ulaanbaatar, Mongolia and the Head of Mongolia part of the Mongolia-Poland Intergovernmental Committee and the Deputy Minister of the Economic Development O.Chuluunbat is obliged to take and control required implementation measures for further actions in accordance with the related approval from the Cabinet meeting of the Government accordingly. - The Government approval was also made on allocating the additional required fund worth 1.9 billion MNT from the Economic Development Bank of Mongolia for ongoing 10.65km Undurkhaan-Choibalsan concrete road structure which planned to be built with complete engineering system across the center of Choibalsan city with 9m width including the concrete road safety barrier, sewerage collection and disposal system, power grid lines and roadway lighting as a part of the Khentii-Dornod 95.4km mega road construction project. MIBG: Could Gas Project With China Revive Foreign Investment? July 30 (MIBG) In recent weeks, Mongolia's government has been clear in its efforts to bolster foreign investment of which the country is seriously lacking. The government recently shifted mining-related regulation to allow for more convenient, international access to the industry. Minor steps in the right direction, however, will not boost foreign-direct investment even close to the heightened levels of capital injection the country experienced in 2011. Mongolia must properly attain the desired level of international interest in the country's economic prospects as the country's future relies on heavy investment from international and neighboring countries. Within the month of August, Mongolia is purportedly attempting to sign a gas project and supply accord with China. Erdenebulgan Oyun, Mongolia's Vice Minister for Mining announced in an interview that the agreement would include the construction of two coal-to-gas-conversion plants. Upon expected completion in 2019, 95% of the plants' output would be transported to China by pipeline. According to Chuluunbat Ochirbat, Mongolia's Vice Minister for Economic Development, an initial contract with Sinopec Group in China could be signed on August 21st, during an official visit from the President of China: Xi Jinping. Information regarding the cost and size of the plant, as well as who will be employed by it, are yet to be seen. The plants involved in the gas contract between Mongolia and China have an estimated production capacity of 15 billion cubic meters of gas per year. To produce the gas, 80 million metric tons of lignite coal must be extracted each year. According to Chuluunbat Ochirbat, the estimated cost of the project will be between US $3 billion and US $5 billion. However, he mentioned the magnitude of the proposed endeavor could be increased. China's rising domestic demand provides an enticing solution to Mongolia's foreign-investment misfortunes. The proposed gas project could be the large stepping-stone the country needs to boost foreign-direct investment. Moreover, Mongolia hopes to begin exporting products other than raw materials to China with the hopes of decreasing its reliance on a limited-export base. A stronger connection to China is beneficial for the Mongolian economy. As the world's second-largest economy grows, it will need more resources and more energy to fuel its economy. In Mongolia's current economic position, a stronger effort should be made to court additional deals with China. However, social and political tensions will likely rise as a result of the courtship and despite economic synergies we expect that the relationship will be strained well into the future. July 29 (UB Post) The Development Bank of Mongolia is working to finance a total of 120 projects with its first Eurobond of 580 million USD, the Chinggis Bond, Samurai Bond, and its own assets. The projects cover eight sectors, namely transportation, construction, infrastructure, energy, mining, small and medium-sized enterprises, agriculture and light industry. The bank planned to lend 107 billion MNT to 17 road and bridge construction and renovation projects and has lent about 73 billion MNT so far. The bank also has lent 166.69 billion MNT and 159.2 million USD to eight construction projects. Currently, 34 infrastructure projects are being implemented with financial help from Development Bank, and in the energy sector, prospective projects such as the Tavan Tolgoi Power Station, Amgalan Thermal Station and Eg River Hydroelectric Power Plant will be financed. The biggest project the Development Bank is implementing in mining sector is a 200 million USD investment to increase the cash position of Erdenes Tavan Tolgoi LLC. In addition, the bank has lent 6.25 billion MNT for the initial construction of Sainshand Industrial Park Complex, and 48.4 billion MNT to 311 small and medium-sized enterprises. The bank plans also to lend 269 billion USD to light industry to upgrade equipment and facilities. July 30 (Mongolian Economy) Last week, Mongolia and Japan signed a free-trade deal that aims to establish economic partnership in order to smooth the legal environment and to increase bilateral investment opportunities and trade. Under this agreement, Japan will export cars and other vehicles, technology, equipment, textiles, fruits, and other items. On the other hand, Mongolia will export cashmere, wool, and leather products as well as processed meats, meat products, pasta, salt and aarts drinks. Exports will be traded between both nations under two different conditions: (1) some items will be transferred without custom taxes and (2) the rest will be traded under soft conditions such as reduced taxes. It is not only important to attract Japanese and other investors to Mongolia, but it is beneficial to introduce technological and bilateral cooperation of businesspeople on top of providing more jobs and establishing higher standards into the Mongolian market. Mongolia can now send IT engineers and nurses to Japan with certain working conditions to allow for more business opportunities. Mongolian businesspeople will be able to travel to Japan to further seek more prospects. Japan will also be able to help Mongolians run projects revolving around technical systems. Both nations decided to collaborate in the sectors of agriculture, manufacturing, infrastructure, mining, education, tourism and small- and medium-sized enterprises. Ulaanbaatar, July 30 (MONTSAME) The Minister of Health Ms N.Udval met Tuesday a delegation led by Mr Itsuo Yoshida, a director of the Towa Pharmaceutical company of Japan. The Japanese delegation visited Mongolia July 26-29 with an aim to conduct an initial research over producing a medicine by analyzing a chemical ingredient of malt, planting it and erecting a medicine factory. The company supplies to Mongolia some rare kinds of medicines. The Health Minister promised to support the company's activities through a policy. Health Ministry extends cooperation with Japan's Sysmex Corp.
Ulaanbaatar, July 30 (MONTSAME) Mongolia's Ministry of Health will cooperate with Japan's Sysmex Corporation. A cooperation contract was inked Wednesday by Ms N.Udval, the Minister of Health, and by Mr Masayoshi Hayashi, the vice president of the Sysmex Corporation. This is a continuation of the previous document signed in 2008 on collaborating in forming an external monitoring system over the laboratory and hematology's quality. The prolonged cooperation contract will continue until 2017. Present at the signing ceremony were also Takenori Shimizu, the Ambassador Extraordinary and Plenipotentiary of Japan to Mongolia; Keiji Fujimoto, an executive director of the corporation; Kunihiro Funakoshi, an executive director; and Ya.Amarjargal, a head of the Medical Assistance Section of the Ministry. July 29 (UNWTO) Easing visa restrictions to stimulate travel is one of UNWTO's recommendations to promote the growth of the tourism sector and its positive impact on the economy. The Government of Mongolia is one of the most recent examples of countries advancing travel facilitation by removing visa requirements for citizens of 42 countries. Facilitation of tourist travel is closely interlinked with tourism development and can contribute in a decisive manner to tourism's beneficial effects, including economic growth and job creation. While recent decades have seen great progress in travel facilitation all over the world, UNWTO research shows that important areas for improvement remain, among them facilitating visa procedures and advancing air connectivity. The Government of Mongolia recently granted visa free access to the country for up to 30 days for tourist and short business trips of citizens from 42 countries, in addition to the 20 countries already benefitting from visa free agreements. The decision comes at a time when the open skies resolution, passed by the Mongolian parliament in 2013, is also being implemented. The resolution is defined in the State Policy on Civil Aviation Sector up to 2020 and aims to develop a competitive national civil aviation sector, in view of its potential contribution to socio-economic development. These and other key issues for the country's tourism development were discussed on the occasion of the visit of the Minister of Foreign Affairs of Mongolia, Mr. Luvsanvandan Bold, to UNWTO headquarters where he met Secretary-General, Mr. Taleb Rifai. "We are very happy to see Mongolia following UNWTO recommendations and taking concrete action in the area of travel facilitation", said Mr. Rifai. "With adequate policies, tourism can have an immense impact on GDP, exports and jobs, and visa facilitation and air liberalization are central to maximize tourism's development potential", he added. A report by UNWTO and the World Travel and Tourism Council (WTTC) on the impact of visa facilitation on job creation through tourism, showed that improving visa processes and entry formalities could generate an extra US$ 206 billion in tourism receipts and create as many as 5.1 million additional jobs between 2012 and 2015 in the G20 economies alone. July 30 (news.mn) Mongolia-China Business Forum will be held at Mongolian National Chamber of Commerce and Industry (MNCCI) on Thursday July 31st. Mongolia-China Business Forum will be organized by Mongolian National Chamber of Commerce and Industry, Ulaanbaatar City Governor`s Office, Embassy of China in Mongolia, and Liaoning Provincial People's Association for Friendship with Foreign Countries to boost bilateral economic relations. At the forum Chinese business representatives lead by Deputy of Liaoning Provincial People's Association for Friendship with Foreign Countries will be present. Mongolia-China Business Forum will start at Mongolian National Chamber of Commerce and Industry at 10.00 pm on Thursday. Ulaanbaatar, July 29 (MONTSAME) The government is about to give financing of 19.5 billion Togrog to 37 enterprises, said B.Battuvshin, a director of the Foundation for Developing Small- and Middle-sized Enterprisers (FDSME) at the "Hours of great construction" weekly meeting on Monday. This decision has been made after placing 100 billion togrog in the foundation in order to finance export-oriented and import-substitution projects that request loans of below 2 billion togrog. These projects have been chosen, in their turn, from 888 selected by the government. About 600 projects have asked the government to get financing of up to two billion Togrog, he said, adding these projects' authors must promptly send applications to relevant commercial banks. It is also possible to render a support to those enterprises who cannot receive the loans due to the lack of pledge capital, said Ch.Tsaschikher, a head of the FDSME's financial section. Ulaanbaatar, July 29 (MONTSAME) Mongolia's Ministry of Mining will cooperate with the Mine Reclamation Corporation of Korea (MIRECO). A related memorandum was signed Tuesday by R.Jigjid, the State Secretary of the Mining Ministry, and by Kwon Hyuk-in, the MIRECO CEO. Accordingly, the sides will cooperate in intensifying the exploitation of environmentally-friendly and sustainable mining and in refining a legal environment and monitoring system for the mineral actions' impact on environment, rehabilitation and closure of used-up mines. MIRECO specializes in mine reclamation and mining area development. It engages in the prevention of damage caused by mines, promotion of industries in mining areas, support of the coal industry, and distribution management of coal and coal briquette. The company's mine reclamation project services include establishment of plans and measures to prevent mine damage; environment improvement projects in mining areas; and various projects, such as mine water treatment, soil contamination treatment, prevention of ground subsidence and mine GIS buildup, forestry reclamation and waste facilities removal, and survey, research, technology development, and training for the prevention. July 29 (UB Post) Three years have passed since National Garden Park opened in Ulaanbaatar. National Garden Park has become one of the most popular places for residents to spend their free time, aside from the National Park of Rest and Culture and Zaisan Tolgoi. The number of visitors to National Garden Park has risen in the past year. The park sees an average of 300 daily visitors. The construction of National Garden Park is considered one of the city's largest and most successful creations, with a big green space (home to 110,000 trees, bushes and flowers of 22 varieties), a bicycle path, a 40 meter water fountain that turns 360 degrees, a 24×230 meter granite-paved square, 30 sculptures, a children's sport square, a 2.5 meter ski track, and a 40×40 meter ice rink. Unuudur visited National Garden Park on July 22, at 9 p.m. Even though National Garden Park has 300 parking spaces in its designated lot, people parked their cars on the road in front of the main entrance to avoid the 1,000 MNT per hour parking rate. Buses and other vehicles selling khuushuur and beverages are located near the main entrance. The buses set out some tables and chairs near their businesses and serve people food without a sanitation license. On average, one khuushuur costs 1,000 MNT, while mutton shashlik costs 8,000 MNT. The disturbing smoke from barbeque grills does not allow for normal breathing and is reminiscent of a black market. The ground is full of trash. In addition to food businesses there are also gaming kiosks. Many small businesses set up quickly outside of National Garden Park. Visitors can pay 10,000 MNT to wait for 15 to 20 minutes for a portrait, or 3,000 MNT to be photographed with an eagle. People come to the park to take a break from city noise and for a breath of fresh air. But there is no way to take a break at National Garden Park. We encountered 10-year-old children walking around and selling khuushuur. Every country has a public park where fast food, gaming kiosks and commerce are available, but at least they have permits and sanitation licenses. Many of the vendors outside of National Garden Park don't have business permits. Four Bayanzurkh district police officers and three security services patrol National Garden Park every day, but only a few people carry out their duties. There are no standardized and permitted facilities at National Garden Park, except for four food kiosks and the restrooms. "It is very nice here. The National Garden Park is more developed than past years. I think it is the only place where young people can spend their free time, and I'm happy about that. But related organizations should pay more attention to non-licensed food sellers," said resident of Bayangol district, S.Jargal. In 2009, ex-Governor and Mayor of Ulaanbaatar G.Munkhbayar initiated the project to build the park. The original plan for the park was for 1,280 hectares, but real size of the park is 960 hectares. The National Garden Park will continue to be developed through 2020. Soccer fields, flower gardens, a beach, an ampitheatre, and an aerial lift will eventually be added. At this time, 55 hectares of National Garden Park is covered with trees and bushes, representing 23 percent of Ulaanbaatar's green space. The park is located 2.1 kilometers from Chinggis Square, covering 960 hectares from Marshall Bridge to Bayanzurkh Bridge along the Tuul River. Twenty-seven employees started the construction of the National Garden Park in 2010, and now there are 113 employees. By 2020, the biggest garden park in the world will be built in Mongolia, which sounds great! July 30 (news.mn) Monday`s cabinet meeting allowed Foreign Affairs Minister L.Bold to add number of diplomatic officials from Mongolia to Permanent Representative Office to the United Nations (UN) with two-year period considering the need to work closer with the United Nations Environment Programme (UNEP) due to Mongolia was elected to chair the United Nations Environment Assembly for 2014-2016 . Also the Minister of Environment and Green Development S.Oyun was authorized to appoint a representative of Mongolia to the UNEP Headquarters in Nairobi, Kenya with a two-year period. Mongolia was elected to chair the United Nations Environment Assembly during the first United Nations Environment Assembly that was held in Nairobi Kenya on June 23-27, 2014. July 29 (UB Post) Ukraine's Ministry of Education and Science will transfer both local and international students studying in Donetsk to other cities, citing "the current situation" as reasons for their transfer. Unuudur reports that students, several from Mongolia, will continue their studies elsewhere in the country for an unspecified time. The decision comes during the university break, ensuring that most students remain safely outside of the city. Unuudur talked to General Consulate of Mongolia in Kiev Kh.Boldkhuyag, and he said, "Around ten Mongolians study mining at Donetsk National Technical University and one studies at Donbas National Academy of Civil Engineering and Architecture, which are located in eastern Ukraine. 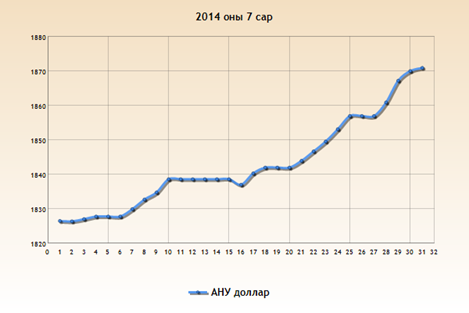 Right now, only one Mongolian final-year student is in Donetsk. The rest are here in Mongolia during their summer vacation." Of the 150 Mongolian students currently studying in the Ukraine, those who are studying in Donetsk and Donbass will be transferred from universities in the east of Ukraine when they return from Mongolia. One Mongolian student remains in Donetsk right now but is expected to be removed from the conflict area in coming days. The consulate added that all the students who study in Donetsk and Donbas will be transferred to universities in other cities according to their majors, and he called on the Mongolian students studying in these two cities to contact him as soon as possible. July 30 (Asia Pacific Policy Project, University of BC) As a country with a pethora of natural resources and a relatively small population to support with this endowment, Mongolia is in a unique position as it looks to the future. If the development of these resources is managed effectively, there is the potential to for them to lift the country into an era of prosperity, realizing transformative development potential rarely seen in a post-soviet state. But how will these resources be managed effectively? How can Mongolia ensure that the benefits from future mining projects reach all Mongolians; moving the country forward without leaving anyone behind? One needs only a brief glance around the world to see nations with enough natural resources to provide a good life to all, but routinely squander them through mismanagement and corruption. Clearly, Mongolia is need of expertise to ensure the mistakes of other nations are not repeated. But where will the expertise to exploit the nation's competitive advantage come from in a developing country only 20 years removed from socialism? During our visit, I found a striking characteristic of the Mongolian people to be their unwavering independence. The nation has a long and proud history, and I found this pride reflected both in the attitude of everyday people I encountered, and the government's stance on resource policy. The Mongolian government knows it needs foreign investment to develop its resources. Yet, they seem intent on setting their own course on mining policy, ignoring the exaltations of observers. Chinggis would be proud. This independent streak threatens potential investment in Mongolia, prompting observers to characterize the action as biting the hand that feeds. In addition to scaring off foreign companies, the lack of reform can be also seen to reinforce old ways of doing business. This sentiment was reflected in conversations with expat mining professionals in country. Soviet leftovers like corruption and cronyism did not appear to be as rare as we had hoped, and color the mining industry in a negative light for Mongolians in a time of growing inequality. So can Mongolia move forward into a modern mining powerhouse? If it can, it will happen internally, through its youth. Mongolia's population is overwhelmingly young and increasingly urban. This key demographic appears to be increasingly influenced not by old friend Russia, or old enemy China, but by other industrialized countries – some with rich mining histories of their own. Several times I met young Mongolians, well educated, articulate in multiple languages, and enthusiastic about being part of Mongolia's transformation. Many of these young people had been educated or worked throughout the developed world, and have returned home armed with skills vital to driving economic development. In addition to providing technical skills and expertise, this generation can also bring home new attitudes to old problems like governance, corruption, and wealth distribution. If these attitudes take root, they can be a transformative part of the nation's future. Ulaanbaatar, July 30 (MONTSAME) The Minister of Labour Ya.Sanjmyatav received Tuesday visiting Mr Simon Bartley, the president of the WorldSkills International. Mr Bartley highlighted an importance of Mongolia's joining the Worldskills International as the 69th member, and said that a preparation of skilful workers, who match all the needs of labour market, will bring many advantages to the economy. He advised Mongolia to exercise their teachers in order to successfully compete in the WorldSkills in 2015 in Sao Paulo of Brazil. In response, the Minister supported an importance this preparation and asked whether it is possible to receive related consultations from the WSI. He also said Mongolia is preparing its workers through short- and long-term trainings, a majority of them become welders, bricklayers, tailors, turners and assemblers by orders of employers. To this, Mr Bartley stressed an importance of preparing skilled workers for the industrial sector. Mongolia produced about 6,000 skilled workers at vocational training centers, this number increased to 6,500 this year. To improve more skills of workers, the country has started national skills competitions among students of vocational training centers. WorldSkills International is a not for profit membership association open to agencies or bodies which have a responsibility for promoting vocational education and training in their respective countries/regions. WorldSkills International operates worldwide, it provides a unique means of exchange and comparison of world-class competency standards in the industrial trades and service sectors of the global economy. The continued growth of WorldSkills International attests to the fact that traditional trade and craft skills along with the newer technology multi-skilled vocations make an essential contribution to the economic and social well being of peoples everywhere. July 29 (UB Post) A video that went viral on June 29 shows a 25-year-old Mongolian as the victim of a racist attack in Barcelona, Spain, orchestrated by two Russian Neo-Nazi minors and one Spanish individual of age while riding the metropolitan train around 10 p.m. on June 28. When the video found me through Facebook on July 1, through my social network of Latin Americans and Spanish speakers, my first instinct was to avoid watching it, and I actually waited a day. As a half-Mongolian-half-Mexican brought up in a cosmopolitan, diversity-encouraging part of the United States for most of my life, I wasn't sure if my squeamish heart, untrained to the realities of racist attacks, could handle the video. The next day, determined not to live in a safe bubble, I placed myself in front of my laptop with my morning coffee at hand, took a deep breath, and clicked play. The scene shows a populated train in motion in the city of Barcelona, with a Caucasian man standing menacingly close, face-to-face with an Asian looking fellow (the Mongolian) sitting down, looking down at him threateningly. In the video, you can see the Mongolian replying to his aggressor. From his facial expression, I can only imagine that he was verbally defending himself not knowing that the Caucasian man would physically attack him within moments. Twenty-four seconds into the fifty-five second video, the Caucasian man is seen viciously punching the Mongolian man in the face. The people on the train bolt up, and jump to break up the attack. Someone shouts "Agarra el rubio!" meaning "Grab the blond [guy]!" Thirty-nine seconds into the video there are five men and three women trying to stop the attack, and by this time, the Mongolian man is standing by the door with a Spanish man with glasses in front of him, while the others hold the aggressor. At forty-eight seconds, another Spanish man is standing in front of the aggressor, using his leg as a stop. Then, just as soon as the train doors open for the next station stop, the Spanish man with glasses who stood by the Mongolian guy, pushes him out of the train doors, and with what seems to be an extra push coming from a woman also in the brawl, the Mongolian falls on the floor of the platform. According to Spanish news website Lavanguardia.com, the Mongolian native asked transportation security for help, and was referred to medical emergency services who then transferred him to a hospital where his injuries were attended to. Sources adds that Spanish anti-racist organization, SOS Racismo applauded the quick reaction by the police force and citizens to defend a victim of racism. The video went viral after the Neo-Nazi minor who filmed the attack posted it on his Twitter account via YouTube the following day. His Twitter account slogan allegedly read, "Always a patriot, White Europe". The victim pressed charges on June 29, and the aggressor and his accomplices were detained and charged for acts of hate and discrimination on June 30. The way my pride (the Mongolian half of it, anyway) was hurt in watching the repeated punches to the Mongolian guy reminded me that I am deeply connected with Mongolian people even though I didn't grow up in Mongolia for most of my life. That's because it is not about growing up in a physical place, for me it's about embodying parts of a heritage, culture and language that transcends physical borders. We look out for a fellow countryman because parts of language, culture and history are shared, if nothing more. Watching this video also reminded me how uplifting it is to see people reacting together to inherently wrong acts such as racism. There was a moral compass that willed the passengers to react and do something. "At least people got involved!" is one of the comments I saw on social media by Mongolians and non-Mongolians alike. The collective effort to stop the attack showed the collective disapproval of racism. The part where the Mongolian guy is kicked out of the train received mixed reviews from Mongolian netizens. I, personally, would give the person who pushed him out of the train the benefit of the doubt because it makes little sense to keep a victim in a contained space with an attacker, but still it sparked nationalist rants on YouTube against the Spanish. Thankfully, Mongolians living in Spain were quick to reply that Spain spoke up against racism, and that the Spanish authorities were working on the case. I felt as sick watching this video as I did when I watched a video where the aggressors were Mongolians and the victims were reportedly Vietnamese. It was shared through Mongolian Facebook pages, and my peers had already clicked "play" before I had a chance to understand what was being shown. The verbal taunts, and commands to "Speak Mongolian! Speak Mongolian!" while the Vietnamese guys were powerless at the hands of their Mongolian aggressors simply chilled me to the bone. How much hate and fear does a human heart have to harbor to execute such violent actions and spew such vicious words? In an attempt to understand this type of hate, I tried to think of a time I felt extremely patriotic. And I remembered. One night in UB, I went out to an expat gathering. There, I found myself with a group of English-speaking expats, two of whom were young, rich and pompous lads who were mighty irresponsible with their words. They basically said, quite graphically might I add, that they were in Mongolia to make money and didn't care about much else. I was disgusted, and at the time, I didn't understand what I was feeling. I was first baffled, then disgusted, and then furious. That was the first time I felt indignant for my people, a people I knew but didn't know. At that moment, it didn't matter if I was half Mongolian, raised in another country, and basically an outsider by definition. Half the blood I had was enough for me to concern myself with the unfathomable lack of respect these guests were showing their hosts. I was restless that night because I felt powerless and was confused about what my role in this was. Could I really just shrug it off? Maybe, what I felt that night magnified by a trillion would be enough to make one act in hate and bash someone else. Maybe, the fear that foreigners will take over the land you love, and the culture you grew up in and identify with conveniently turns into hate, which then loses its reason and simply turns to a game of who can post the nastiest videos of minorities getting bashed on YouTube. Maybe, that is what the aggressor on the train in Barcelona felt when he saw the Mongolian guy. I'll never really know. An interesting discussion among Mongolian Facebook users developed when a prominent Mongolian figure on Facebook posted the Barcelona attack with a caption that essentially applauded the Spanish for helping his fellow countryman with, what I thought, was an implication that Mongolians wouldn't have done the same for a foreigner on their turf. In the thread, there were two opposing opinions by Mongolians that interested me in particular. One was, yet again, "We should really follow the foreigner's example," about how Spain handled the situation via forms of media and justice, and another read, "Why do you always glorify the foreigner?" One comment read, "We need to separate from our extreme [-ly positive] views regarding foreigners. Mongolians are entirely for one another when living abroad. Don't post so dramatically about what you weren't there to see yourself. It surprises me that we do not give foreigners any blame in these situations." Another read, "TV stations in Barcelona have televised this attack over and over, reminding the people that this is not acceptable. The culprit was Russian, they said. It looks like the guy next to him tried his best to kick the guy out of the train. In my opinion, Barcelona is a calm city made up of many internationals." Honestly, both are great points but I don't think it's about which race is right or wrong, or whether the foreigner is right or wrong, whether the more economically developed country is right or wrong, and what side to take. I think it is more an issue of recognizing human ignorance when it happens, and having the heart and courage to protect basic human dignity, even if our hands get dirty in the process. With the serious response to the attack by Spanish television stations and Spanish anti-racism organizations, I couldn't help but wonder how Mongolian media and society react to ultra-nationalist violence against foreigners, or other Mongol ethnic groups. I skimmed several Mongolian online articles and couldn't find anything regarding any attacks on non-Mongolian foreigners. Then again, maybe I was looking in the wrong place. Are we there yet? Is this something we can talk about openly? What are journalists afraid of? Do they even care? I have more questions than answers sometimes. All I know is that when we experience or witness horrible ordeals instigated by people racially different from ourselves, it is of paramount importance to not blame the race and ethnicity of the aggressor, because it does nothing more than add fuel to the fire of ignorance, fear, and hate. The enemy will always be human ignorance bred in cultural environments different from ours. The enemy is not nationality, race, and ethnicity. The two Russian Neo-Nazis minor and their adult Spanish accomplice pulled an awful move, but Russians and Spanish people aren't the enemy. Mongolian racist groups beat up Vietnamese people in an auto body shop and recorded it for the world to see, but Mongolians are not the enemy. The enemy is human ignorance. We are all capable of manifesting our hidden human ignorance through jokes, stunts, and in more extreme cases, full-on attacks, but we can counteract it by protecting the underdog wherever we are and protesting their mistreatment. Not as privileged foreigners, not as educated, high class Mongolians, but because beneath all of the layers, we are fellow human beings. Nothing more and nothing less. Mishell Hernandez is a writer born in Moscow, raised in Mexico, Mongolia, and the United States, and currently living in Australia. She writes about her life, travels and self-discovery on her blog, Mishell + WordPress. July 29 (UB Post) Heavy rain and thunderstorm hit not only Arkhangai Province's Khashaat soum, but also Ulaanbaatar and Tuv Province on Saturday night, leaving several houses roofless and one dead in lightning strike. The man who was struck by lightning was a 28-year-old and died on impact. Several children aged between six and 13 also received burns when lightning struck them. The Information and Emergency Management Center (IEMC) at the General Police Department received numerous reports from 10 p.m. to 11 p.m. on Saturday, when heavy rain and thunderstorm reached critical levels. Roof of a house and a garage in Chinggeltei District were carried away by the storm, while two gers in Sukhbaatar District collapsed in the storm. A car was ruined as piled up logs fell on it during the storm, while another garage roof was carried away and fell on a ger in Khandgait summer camp area. The roofs of several households living near the Chinggis Khaan International Airport were also carried away by the storm, according to the IEMC. No one was injured in the accidents caused by the storm. In addition, over 70,000 hens died of suffocation at Mon Egg LLC poultry farm as air conditioning system failed for several hours due to the storm, which cut off power at Bayanchandmani soum in Tuv Province. As of Monday, the farm staff buried 38,000 hens 12 meters deep in the ground and sanitized the farm, reported the State Specialized Inspection Agency.